Unofficially called “the party of the year,” the Metropolitan Museum of Art Costume Institute’s black-tie extravaganza—or Met Gala—is known for its famous guests. Officially, it’s the place to see avant-garde fashion and buzz-worthy beauty. 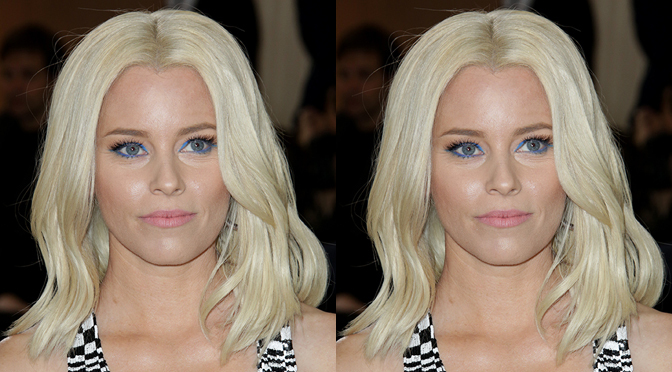 Our very own Global Editorial & Digital Director Lucie Doughty had a golden ticket to the event, as she transformed actress Elizabeth Banks’ dark blonde hair to a radiant new shade of platinum blonde to debut on the red carpet! Start with the Platinum Card technique using Dual Purpose Lightener + 30 volume on level 6 tinted hair. After the level 6 is lifted to a level 7, apply Dual Purpose Lightener + 10 volume through the ends. Once the mid-shaft and ends are lifted to a level 8, apply Synchro Lift + 20 volume to the base. Let hair process until everything has reached an even level 9. Rinse then treat with Awapuhi Wild Ginger® KeraTriplex® and HydraTriplex™ Treatments to restore strength and moisture. Tone with the Color XG® UTA + pea sized amount of UTV + 20 Volume for 20 minutes. Shampoo with Awapuhi Wild Ginger® Moisturizing Lather Shampoo®. Condition with Color Craft™ in Misty Violet (minimum strength) for 5 minutes. Click here to see what Lucie will be up to next! For more hair color inspiration, click here.